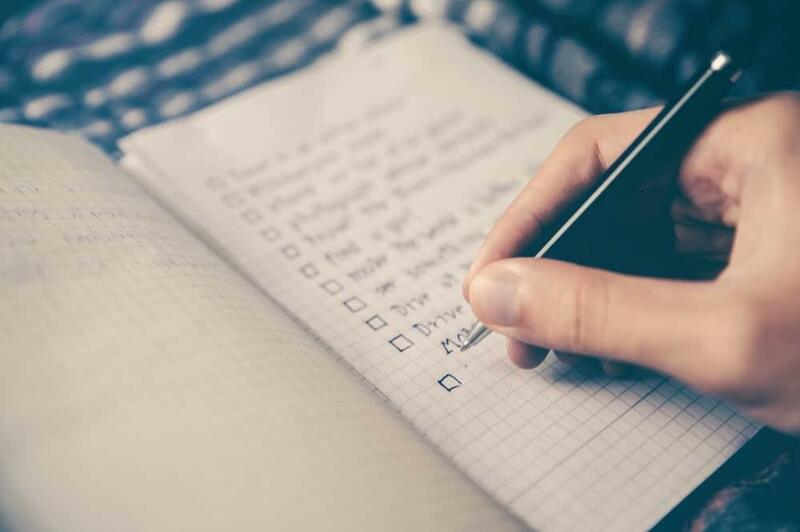 In this comprehensive article I will cover off all the key things you need to think about, from finding your company policies to speaking to your boss. What do you Want to do With Your Sabbatical? 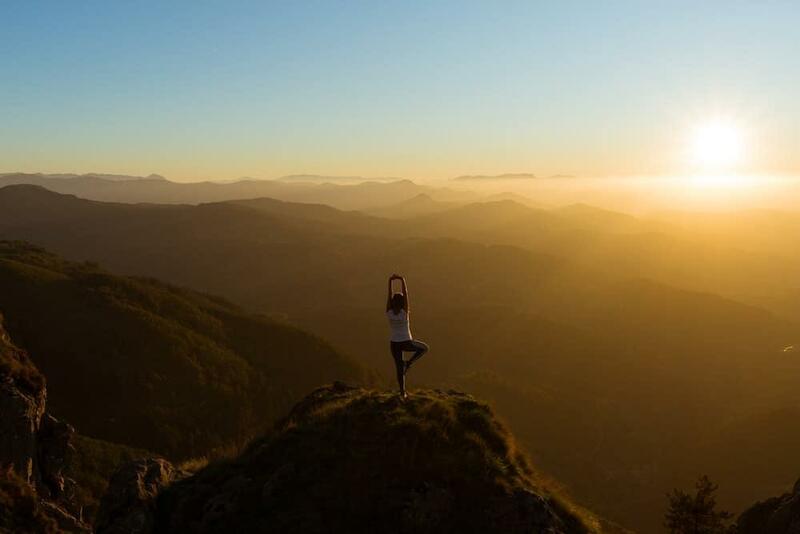 When Should you Take the Sabbatical? Before we get too far ahead of ourselves, it’s important to understand if you are actually able to take a sabbatical. This step isn’t about actually requesting a sabbatical, or even letting too many people know you’re interested – there are alot of other decisions to make before that point. What we’re looking to do is just establish the facts about any policies that are available in your company. You see the truth is, there are no laws around sabbaticals. Unlike maternity leave, sick leave or annual leave sabbaticals or career breaks are a benefit that some employers offer, not a guarantee. Now might be a good time to brush up on some of your sabbatical knowledge, so stop and have a read of the information in the post below. The first thing is to read up on your company policies. If you work for a large organisation this should be fairly easy. Most have employee benefits websites or intranet pages that spell out exactly what you are and aren’t entitled to. Some still provide a physical ‘employee handbook’, but these tend to be electronic now. If that isn’t available then your next option is to speak to someone within your HR team. Bigger companies do this via a call centre, or there might be someone within your workplace to chat or drop an email to. Remember as you’re having these conversations, that there is no RIGHT to be given a sabbatical. It is generally a benefits policy, and can be refused. This may change the way you have the conversation or try to get access to the information. Different companies have different policies, so this is hard to answer. I’ve worked for employers who will let you have anything up to a year off and return to the same job. In others, up to three months was acceptable, anything over that could still be authorised, but was seen as a break in service and meant losing any length-of-service benefits such as additional accrued leave or sick pay. This is where things start to get a bit tricky, and you might have to make some big calls. The way I see it you have three options. You could consider quitting your job, which is a risk only you can weigh up. If you work for a smaller organisation, you could see if you are able to negotiate a sabbatical anyway, but without clear policy backing you up, be sure to get everything in writing. Give up on your dream of long-term travel and resign yourself to life in a box. I’m not a fan of number 3, not sure about you…. ….but equally number 1 seems pretty gutsy. In fact this whole taking time off of work, breaking cultural norms, and leaving the career ladder behind is pretty intimidating. But as with everything in life, it comes down to your priorities and your willingness to balance risk and reward. If you’re an average person in the UK you’ve got around 80 years on this planet. We really are tiny, insignificant specks of atoms, in a huge universe that has been here millions of years before us, and will be here millions of years after we go. Nothing in life that’s worth having ever comes easy. If you have an urge to do something different – to get out and see the world – you’re going to have to be brave. What seems like a big decision now, will be magnified 100 fold in fifty years time when you look back on what you wish you’d done. I’m not going to push you to do anything, only you can decide where the risk/reward balance is for you, but just by clicking on this post, you’re starting to lean in a certain direction. In my opinion, it’s better to try, and learn, than not try at all. But only you can make the bigs calls in your life. Hopefully you research has given you confidence that you can take a sabbatical. Now it’s time to start some serious sabbatical planning. When Should you Take a Sabbatical? Before we get too ahead of ourselves, lets sort out the real basics. You don’t want to go rushing into your boss’s office, get a sabbatical signed off, only to discover a few weeks later that you can’t afford it! This is not going to do you any favours at all! 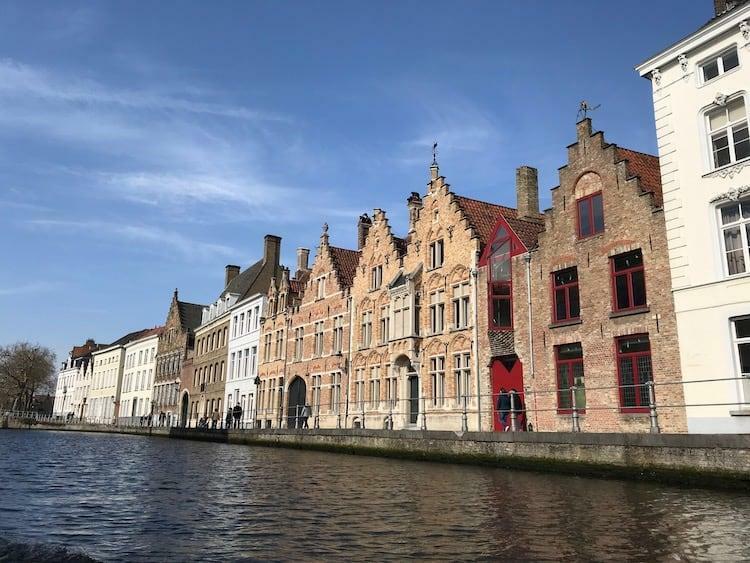 If you want a comprehensive round up on this point read my post ‘Can you Afford to Take a Sabbatical?‘, which also has a downloadable spreadsheet which makes it really easy to run the numbers. 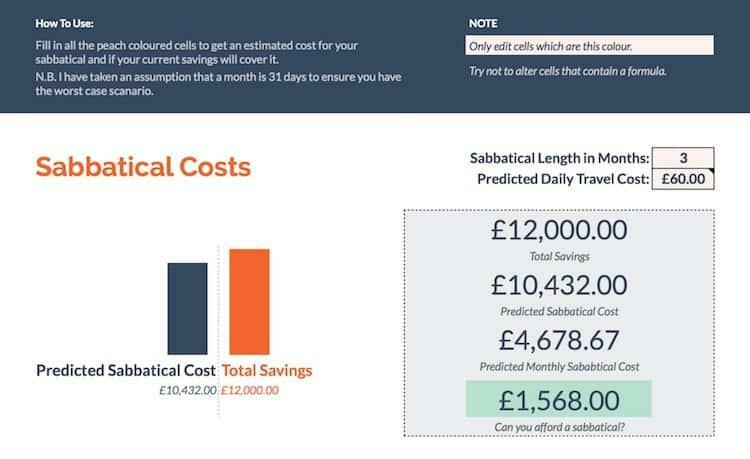 This will then give you a total estimated cost for your sabbatical, and will let you know how much money you need in savings before you go (unless you planning on working whilst travelling). Eventually you will end up with something that looks like the below, that set out in black and white the figures you are working towards (this is a screenshot from my sabbatical budgeting spreadsheet). It’s time to set a length for your sabbatical. You may have done this already, or you may still be weighing up your options. How long does your company allow? When you were looking at you company policies, you will have hopefully found out exactly what is and isn’t acceptable. There are such big variations in policy out there, it’s hard to know what you uncovered, but generally you are looking at somewhere between one and twelve months. If you’re still with me, I will assume you found some good news, or you’ve taken an even braver decision to quit and move on. Either way, you’ll have an amount of time you would like to be away in your mind. After the big dose of reality in the last step, you will hopefully be really clear on exactly what you can afford. Whilst this might be less than you’d ideally wanted, it will at least be the right amount to not put you in any financial danger. 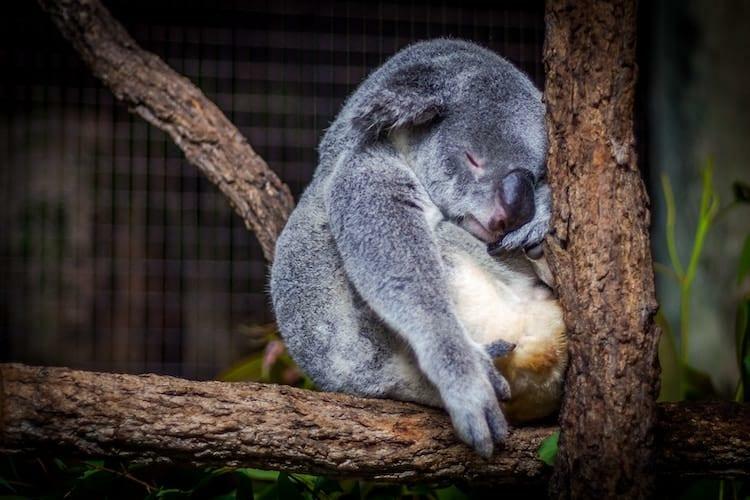 Is this koala living your sabbatical dream!? For others though, there will still be alot of decisions to make. And this is a vital step, as it will govern alot of the stages ahead. Without having a clear idea of WHAT you want to do, it’s hard to work out exactly how much money you need, how much time off to request, when the best time to go is and a multitude of other things. We knew we wanted to travel for three months, but when we started we looked at travelling the west coast of America, then moved onto a European Road-Trip, before settling on three months in Southeast Asia. Everything from cost, distance from home and weather fed into our decision making. So let’s go back to a few of the most popular reasons people take a sabbatical, and look at some options. Let’s pick those off one by one, and link to some useful resources to help you make some decisions. There are so many options here, that I can’t cover every base, but hopefully there’s enough below to get your thinking. I hope you’ve found this list useful, and you’re now starting to narrow your options down. Now it’s time to think about what the best time of year to take a sabbatical would be. 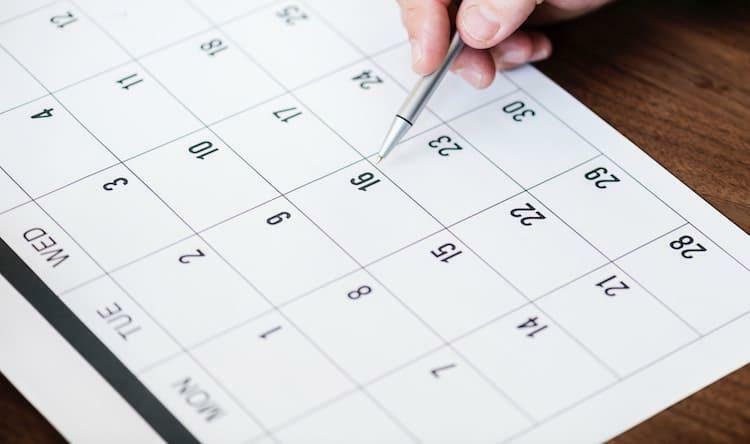 For longer sabbaticals, this may not matter too much, but if you’re only planning a few months, you’ll want to make sure you target the best months. But what does best mean? When is right for your business? When is right for you? 1) When is right for your business? I have intentionally put this first. Remember, there is no law that guarantees you a sabbatical. To get one signed off, it will go in your favour if you’ve thought about the needs of your employer as well as your own…. ….Because they’re well within their rights to just say no. Are there particular times of the year you need to avoid? For example, a retailer taking time off at Christmas, or an accountant just before the financial year is done would not be looked upon favourably, and would put additional pressure on the business. How long would it take for them to find someone to replace you? If it’s a temp, they might need time to recruit. If you can train someone to step up and do your job, how long would this take? Given the above, what would be a reasonable notice period to give? The policies might only state a month, but if you can give your employer longer to help prepare them to fill the void when you are gone, this might go someway to helping you get the time signed off. 2) When is right for you? How did your finances work out above? Taking another six months to save prior to leaving, may be just what you need. Are there any major events coming up that you need to be home for? Big family birthdays, anniversaries etc. You may need to work your sabbatical around these. How long is it going to take to get everything in order at home? If you need time to find someone to rent your house out to, take your pets etc then might be best to build in some contingency time. 3) When is the right time to travel? Where you want to go, and what you want to do, will also partly govern when you go. When is the course/project/program you want to attend running? When is peak tourist season for the area you’re going? Costs will rocket at this time. What is the weather like? Monsoon season could ruin your trip in Asia, or winter in Europe. Have you planned to go at a time that makes sense for the season? Are there any particular events you want to see that only happen at certain times of year? So now we have a plan, our budget, the length of time and even a vague date sorted. This is starting to get pretty real! In this section we’re going to cover requesting a sabbatical. This is everything you need to finalise your plans, and how to approach them with your boss. This is the final section before sitting down with your boss to talk about your plans. 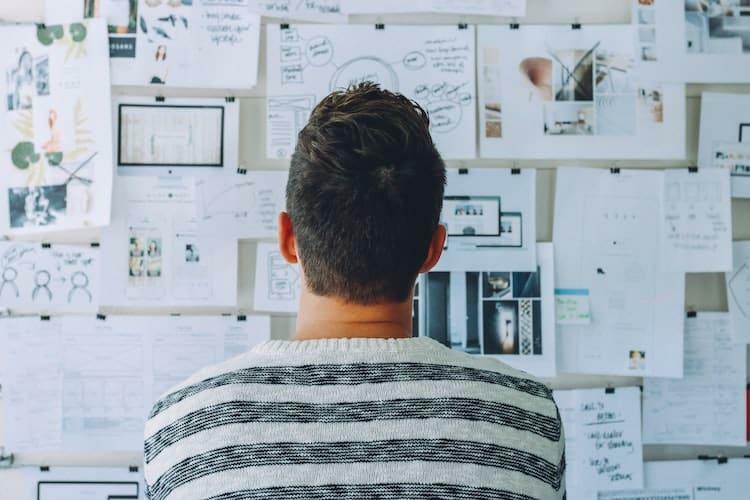 Whilst you might have everything clear in your head, it’s time to get that mission statement down on paper so you are 100% clear. In our business we call them ‘elevator speeches’. If you were to get in to an elevator with someone, and they said ‘I hear you want to take a sabbatical, what made you decide to do that?’ this would be your 30 second pitch. Getting this pitch ready will not only help you when it comes to chatting it through with your boss, but also with the hundreds of questions you’ll get afterwards. It’s time to get everything 100% clear in your head. It’s a really simple formula, but this should allow you to bring clarity to your vision so it’s easy to get across. Grab a blank sheet of paper or a note taking app of choice, and start to work through these headings. This just needs to be a really quick and clear statement, your opening to the meeting you plan with your employer. Think of it as your opening statement. This step is really important, and draws together a lot of what we’ve been discussing in this post. With a clear ‘why’, everything falls into place, and makes your argument more persuasive. This bit needs to be compelling, as it will be the human story that gets them to understand why you’re wanting to take the action you are. You may want to travel, and spend more time with a loved one, but the question I want you to answer is ‘why now?’. My dad had been in a serious accident the previous year, and whilst he has recovered well, it made me realise how fragile life can be. My wife and I have not had children yet, but as we creep into our thirties this is something we want to do soon. Taking time to travel will be far more difficult when we have a family, so we now felt like the right time for us. After the final line of my last statement, I’m starting to draw attention to the fact that this isn’t all about me, and I want it to be clear that I have thought about the implications for the company. Your situation might be different. You might be quitting, or just not care enough about the company your work for to think of their situation, but if you are looking to come back to the organization, and maintain credibility through this process, it’s important you show the thought you’ve put into it through the steps we’ve taken so far. The ‘when’ part, should show them that you’ve thought not just about yourself, but their needs too. The meeting with your employer may not go smoothly, and it may be a shock to them. If you’ve done your prep work though it should really help you to be assertive and answer and questions they have. With the ‘what’ you bring clarity to your plans, and make it simple for them to understand what it is you’re proposing. With the ‘why’ you bring the human and emotional element, to help them understand your motivations. Through the ‘when/how’ you show exactly how much thought you’ve put into this process, and start to show them this is a collaborative approach, not just you sticking up two fingers and running away (though if that style works for you, feel free to use it!). Before we leave this final bit of planning, I want you to put together a list of questions that you may get asked by your employer. This will help you better prepare for the unknown, and mean you’re on the front foot. Here are some examples, but you know your business and your boss much better than I do, so take the time to tailor it to your individual circumstance. Some of these questions are tough to handle, so make sure you’ve got a concise response. I’ve given some examples, but again, only you know your own circumstances. You’ll be setting a precedent, we’ve never allowed something like this before. Are you going to upset everyone on the run up to leaving? Are you actually coming back? Are you planning to work for someone else whilst you’re away? Have you thought about the impact this will have on your team? Who’s going to pick up your workload? Are you just running away because you’re unhappy? What will you do if I say no? So there we have it, the plan in front of you in black and white. You may need a few days to ensure you’ve got every base covered, but now it’s time to take the biggest step so far. Welcome to a big step in your sabbatical journey. Most of what we’ve discussed in this post has been building up to this point. It’s time to go public! Through your research from earlier, you should be really clear on where you stand in terms of policy, but remember, there is no laws surrounding a sabbatical in the UK. The odds are largely stacked in the favour of your employer here, so it is your job to convince them. The first stage here is to book a meeting with your boss, HR representative or whoever is likely to make this kind of decision. It’s important you get this right. If the meeting is in the wrong place or at the wrong time you might not get the attention or reaction you need. Make sure you set the tone right from the first contact. You need them to understand this meeting is really important to you, but without giving them too much information. You want them to clear that this isn’t a chat that can take place in a corridor or canteen, and to get them thinking ‘what’s going on here?’ so they are fully prepared to engage in an meaningful conversation. Have you got time to slot me in for an hour or so over the next week? I want to have a chat about something important with you and ideally would like to do it in person, not over the phone. I’ve got a couple of commitments on ‘x’ day, but other than that I am free to work around you. This gives them enough to know it’s important, and also enough flexibility to ensure you get the time booked quickly. Once you’ve made the decision to go for it, it will play on your mind until its done, so the sooner the better. Once you’ve got the meeting in the calendar, it gives you something to work to. 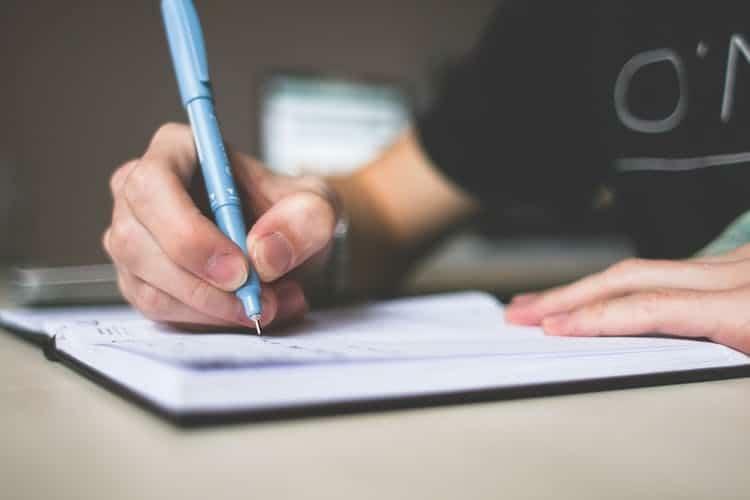 Just like a job interview, it’s hard to over prepare, but if you’ve been taking notes through this article, you should be well prepared. Keep running through your what/when/why/how and make sure you can describe those points clearly in an ‘elevator pitch’ of around 30 seconds to a minute. Regularly run through your Q&A, making sure you’ve got good answers prepared. You could also run some of these questions past a trusted person, to see if can think of any more questions that might get asked. Anything you can do to be on the front foot will be really worthwhile. You’ll no doubt be nervous, which is completely normal for such a potentially life-changing event, but given how well prepared you are, don’t let the nerves defeat you. Have your notes with your to refer to in case you get flustered, and take a bottle of water in case your mouth dries out, or you need to buy yourself some time. In the meeting it’s a simple case of working through your points, and being clear you understand you’re not entitled to anything, but how much it would mean to you if you could have the time agreed. Don’t expect an answer there and then. Unless there have been obvious signs, this will probably be a shock to your boss, so it would be unusual for them to make an instant decision. If you have given them a good amount of notice, then waiting another week or so shouldn’t really matter. Dependent on the outcome of the meeting, you may not feel this is necessary, however I always think it is useful to have some form of paper trail. Thanks for agreeing to meet me on INSERT DATE. As discussed, I would like to return to my job role at the end of the sabbatical period. I also want to re-affirm my commitment to the business in the long-term, and that I will do everything I can to ensure handover my responsibilities in a way which leads to the smooth running of the role in my absence. I hope you understood my rationale for making this choice, and that I feel it will have a benefit to both me and the business in the long-run. If you need any more information to help you make your decision then do not hesitate to contact me on the number above. Hopefully you will receive notification of the decision within a week or so, and you will then know if you can proceed or not with your sabbatical. If the sabbatical is confirmed, I would ask for this in writing, making sure that it states you can return to your previous role. This puts you in a much stronger position if circumstances or people change within the business whilst you are away. A good way to do this, might be to draw up the letter yourself, and then ask the relevant person to forward you a copy with their signature if they are happy with it. You could try to re-negotiate, changing some of the variables. You could move the date, shorten the length or offer to try and find a different way of covering your role. Chances are though, that this would have been discussed with you during the meeting, and if there the answer is a no, you may well have to respect that decision and move on. If there is no chance for negotiation, you are left with two options – either give up on your sabbatical, or resign. Only you can make the decisions on the risk/reward here. Giving up on the dream of a lifetime is a massive blow, but leaving yourself financially vulnerable could be equally problematic. There is a chance that resigning may make your employer realise how serious you were, and they sign off on your sabbatical in order to retain you, but it’s a gutsy move that is likely to lead to a lot of ill-feeling in the workplace. I really hope you’ve found this guide useful. If you have any questions, feel free to add them in the comments. I’d also love to hear any success stories. 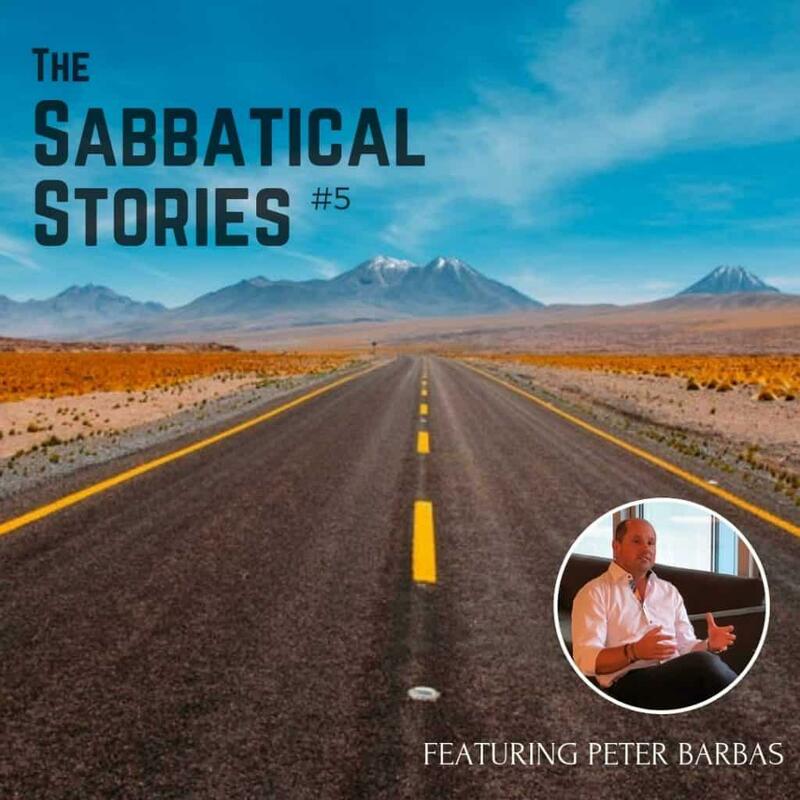 Stories from others really help to inspire people when they have tough decisions to make, so drop any you have in the comments below or head to the sabbatical stories section of the site to find more. I’ve not got anything more to say other than good luck, and I have my fingers crossed for you!